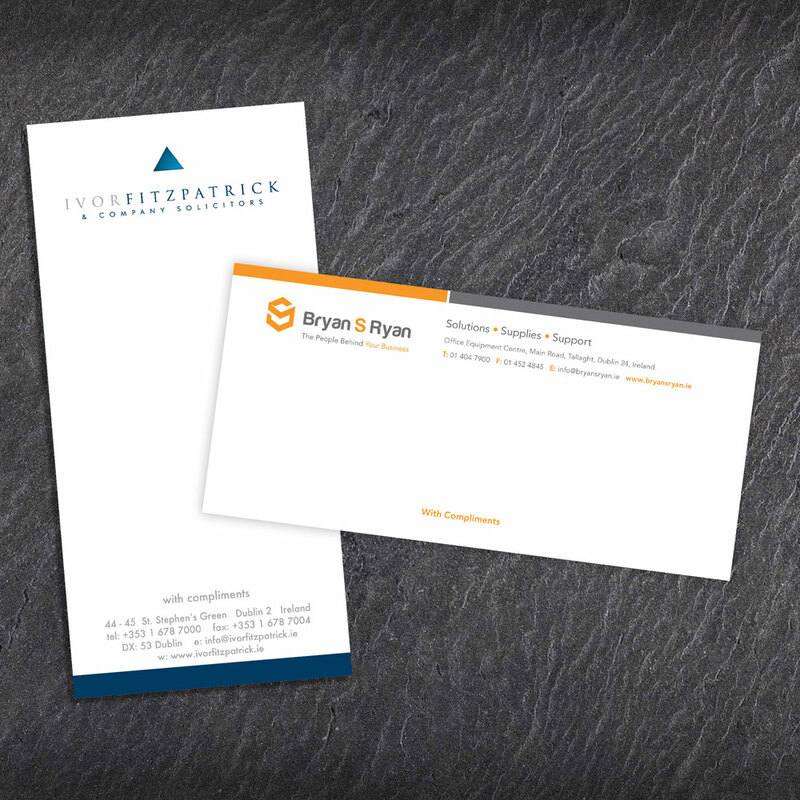 Reach for a compliment slip when you want a hint of informality but still need to convey a strong sense of your business identity. Working with you, our designers will create a suite of branded stationery: letterhead, (LINK) business card (LINK) and compliment slip. These three products form the foundation of your branding and marketing campaign. Punctual Print’s compliment slips are printed to the same exacting standards as our letterheads on top-quality paper.